Recently I visited a friend for lunch in my old neck of the woods, Cheadle. Anyone south of Watford may say, where the hell is that? So for the benefit of clarity, it’s a leafy area just outside Manchester. While the high street boasts veg shops, a Boots and my beloved Quality Save, like many villages, it doesn’t have eateries in abundance. There’s a Pizza Express, and Tuquoise, a Turkish restaurant that’s my go-to when in the area, and the subject of this review. 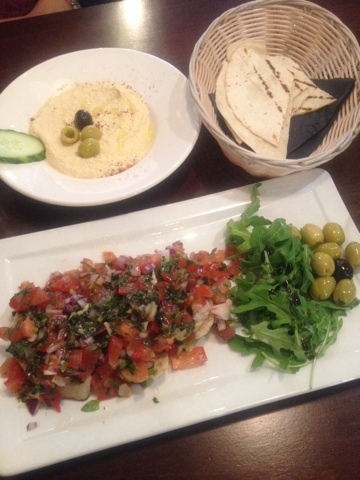 Lucky for ladies who lunch, or those who work nearby, Tuquoise offers lunch specials of two dishes for £7. The generous menu offers staples such as humus and soujuk (Turkish sausage), and halal eaters will be pleased to know that there are chicken and meat options available (I was informed that only the steak wasn’t halal). I normally opt for the mixed mezze, which is a flavoursome plate of cheese filled pastries, vine leaves, falafel and warm pitta, though sadly this wasn’t on offer. The bruschetta was a tasty, filling portion, though the bread got a little soggy underneath all that tomato. I much prefer the bruschetta at Pizza Express or London’s La Cucina. The kofte (meatballs) would have benefitted from a side dish of chilli or garlic sauce, as the dish overall was slightly dry. 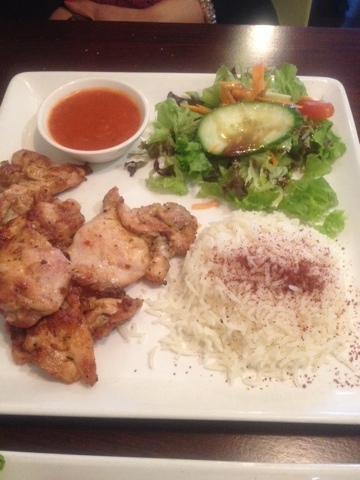 I know this is typical of Turkish cuisine, but I think I’ve been spoilt by restaurants in London that offer some sort of sauce with their meat dishes. 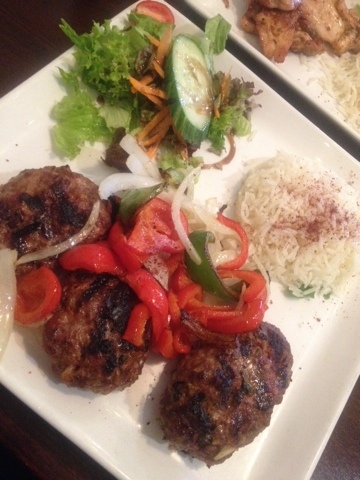 If you’re in London, I’d recommend two places I’ve thoroughly reviewed: Efes, and Haz. Less favourable, was Tas restaurant. I’ve previously had the vegetable moussaka, which is a rich tomato dish, and I’d probably opt for this, and some mezzes if I visit again. In terms of how Turquoise squares up against other Turkish restaurants I’ve tried, I’d say it was better than Tas, but didn’t quite pack the flavour of Efes. However, if I’m in Cheadle again, it would be my go to place. Cost – lunch specials offer two courses for £7. Dinner offers two courses for under £10. Halal– most dishes are halal apart from the steak. Great if… You’re in the area and fancy something different. Not so great if… You prefer your meat strongly flavoured or spicy. The nature of Turkish is that it’s light on the palette.